This is what we are at the Gynocratic Art Gallery (The GAG). We are an idea with a big heart – and busy legs. We are gynocratically run meaning, democratically – and predominantly – run by women but certainly, not only interest in work by women. As an online gallery we are particularly interested in lending our support to artists (and their works) which may be undervalued in some, or many ways by the art world; such undervaluing might be commercial (by public collections, museums, galleries), at auctions (private collections), critically, and/or academically. Artists featured may also face additional prejudice dues to race, gender, class, sexual orientation, and dis/ability. We feature work by Indigenous artists of all genders, as well as Black artists, other people of colour, and trans and gay men. We are an online, 100% volunteer run, not-for-capitalism art gallery. We are a community of creatives, dedicated to infusing great art into ‘the gaps’ – the spaces in between the established spaces. As feminist historians and curators regularly note, art history is full of holes absences, blinders – gaps. We want to explore those gaps, point to gaps – helping to call out unacceptance. We are a new sort of gallery and we are interested in new friends and, new sorts of conversations. In any of these ways we are a voice, and a platform, a pop-up, a pub night, a potluck and a mosh pit. Please join in. We’ve got room! The Gynocratic Art Gallery (The GAG) looks up to Canada’s Feminist Art Gallery (FAG) in Toronto like a bold and brave sister-space. We continue to learn so much from the positive and standard setting examples set by Allyson Mitchell, Deirdre Logue and the others at FAG. 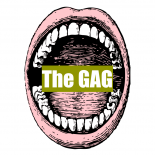 It is out of the deepest respect for their work that we at The GAG ascribe to the FAG’s mandate of “hosting, funding, advocating, supporting and claiming” our artists (1).